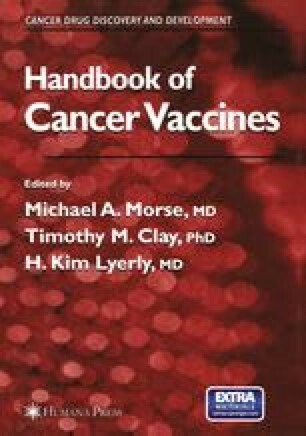 The progress made over the last few decades in understanding the genetic and immunological aspects of cancer has led to the development of a large number and variety of immune-based approaches to combat the disease. Among the products developed, or under development, have been receptor-targeted monoclonal antibodies (e.g., trastuzumab, tositumomab), cytokines (e.g., interferon-α [IFN-α], interleukin-2), growth factors (e.g., granulocyte-macrophage colony-stimulating factor [GM-CSF], granulocyte colony-stimulating factor [G-CSF1, erythropoietin), and an amalgam of innovative products collectively referred to as tumor vaccines. The opinions of the authors do not necessarily reflect those of the Food and Drug Administration.